Minneapolis Pioneers and Soldiers Memorial Cemetery is the oldest existing cemetery in Minneapolis. Since the first burial in 1853 the cemetery has been the final resting place of those who helped shape the history of early Minneapolis. 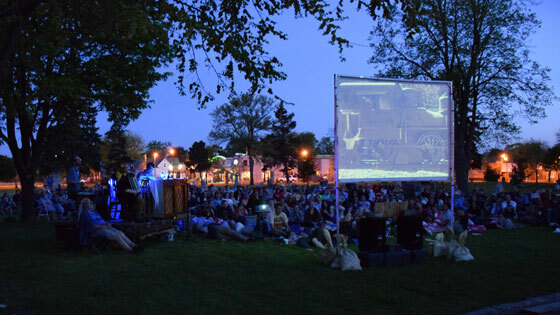 TRYLON collaborates with Friends of the Cemetery to present outdoor screenings each summer, using our 9′ by 16′ portable screen and digital projector.